Marmo is proud to bring our customers only the best natural stone on the market. 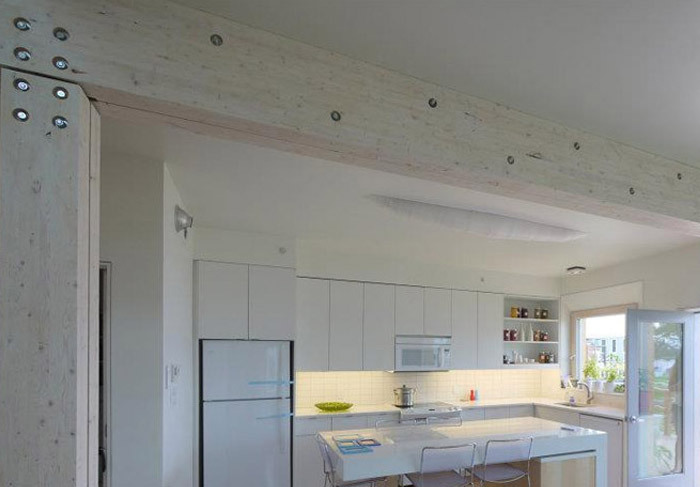 Marmo Enterprises Inc. is a natural stone fabrication and installation company. 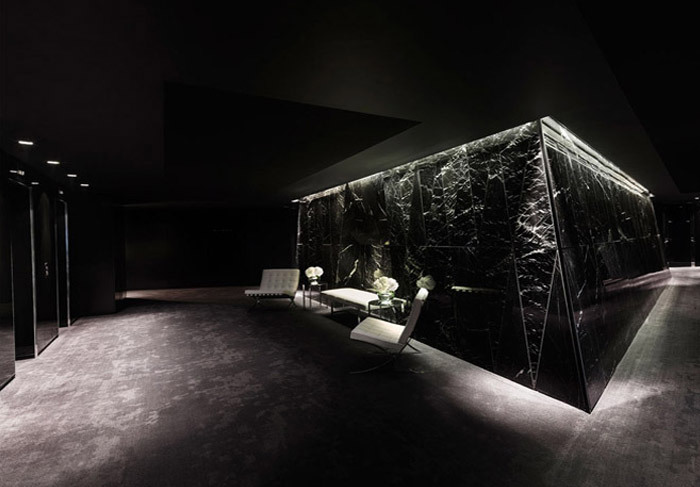 We specialize in high end residential and commercial projects: Apartments Bldg, Hotels, Lobbies, Commercial bathrooms, Building lobbies, Exterior plazas, Interior offices, Restaurants. Marmo Enterprises Inc. cuts orders to size and offers all services and products relevant to natural stone. We are able to provide a complete stone shop service that includes fully detailed architectural drawings, support, and anchoring systems. Our drawings are both manually and/or computer generated as per job requirement. Our company has been working with General Contractors, Builders, Architects, Interior Designers, and Millworking Co. in the past 20 years. We will advise you and supply you with the best material for each application. 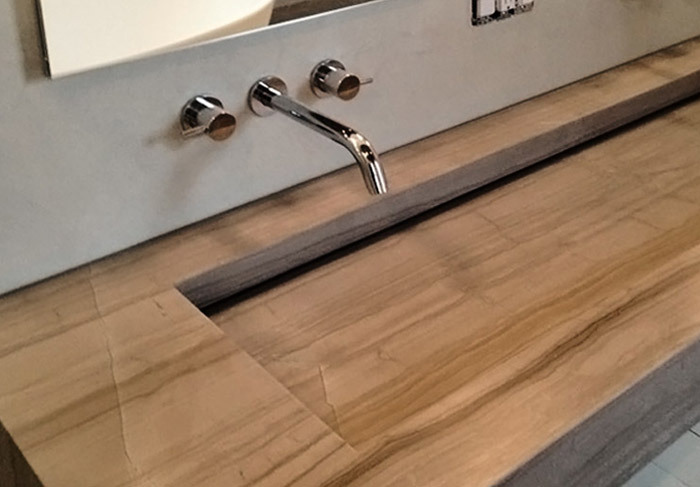 At Marmo Enterprises Inc., our goal is to provide a "one-stop-shop to service the unfilled need in natural stone from design, to fabrication, to installation. Marmo Enterpises is proud to bring to our customers only the best quality products of natural stone on the market. 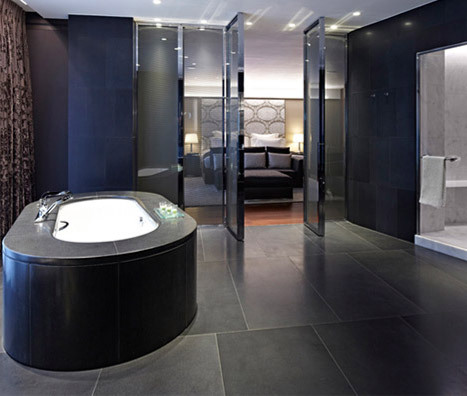 We have 35 years’ experience in fabrication and installation of natural stone, and with the knowledge of directly selecting blocks from quarries, and working with suppliers overseas. Slabs & Tiles: Granite, Marble, Limestone, Onyx, Slate, Travertine, in the following finishes Polish, Honed, Flamed, Leather, Antique. Travertine and Tumble Tiles are available in multiple shapes and sizes to ensure their fit into your designs. These include 3/8 x 3/8 mosaic on mesh through 16 x 16 inch tumble tiles. Our showroom and 4,000 square foot warehouse boasts a state-of-the-art fabrication facility. 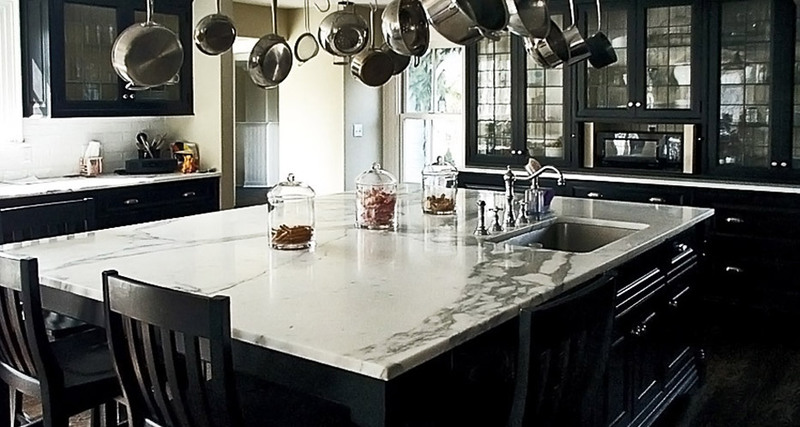 Our beautiful, one-of-a-kind slabs of stone and marble will be expertly shaped and trimmed to order. Polish, honed, flamed, leather or antique-there are also a number of finishes that can be applied to your stone. For more than 24 years Marmo Enterprises, provides services to Hotels, Office Buildings, Hospitals, Millwork Co., Restaurants, Builders, General Contractors, and Architects. 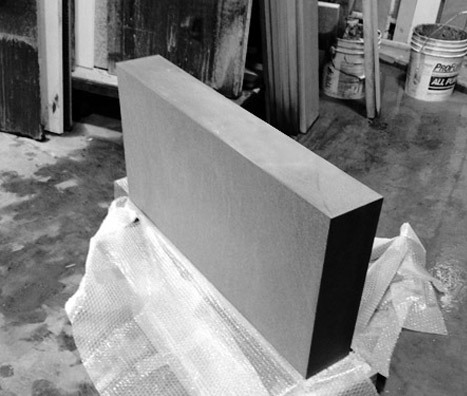 From cut-to-size jobs, and stone countertops to your specifications to complete wall installation with support-designed anchor systems and shop drawings, we can fabricate and ship to any state in the USA. We are able to provide a complete stone shop service that includes fully detailed architectural drawings, support, and anchoring systems as well as both manually and/or computer generated drawings as per your job requirement. 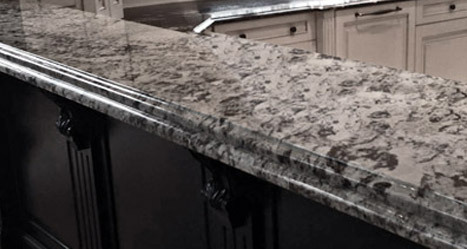 We are conveniently located in Somerset, N.J., where we have our Fabrication Facility and Warehouse, and where our customers can come and select material for their countertops, vanities, and more.